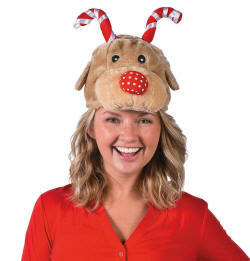 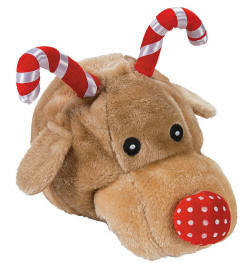 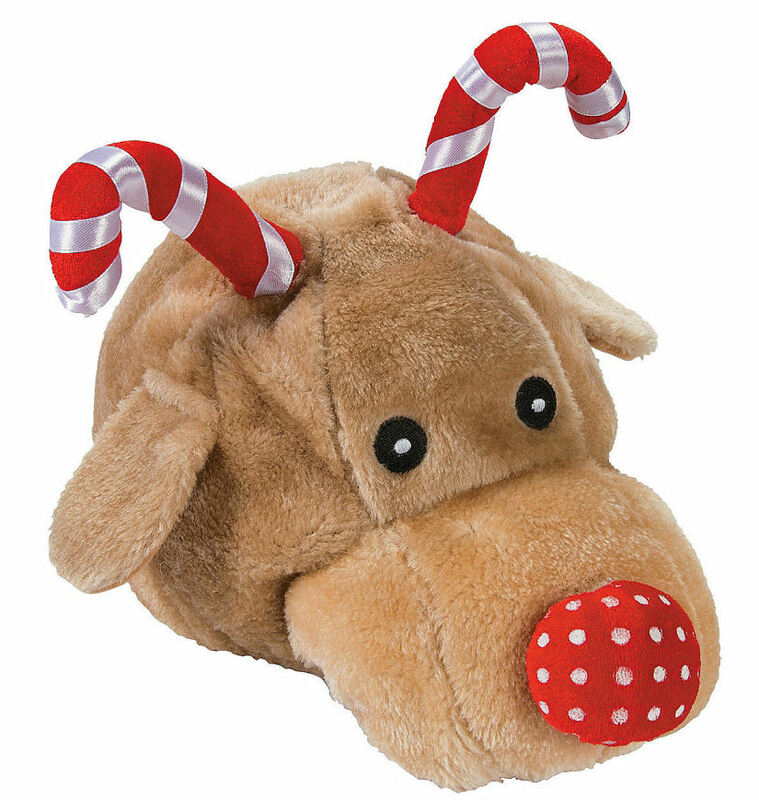 Stay warm while you dress up like Rudolph with this cute Plush Candy Cane Reindeer Hat. Featuring candy canes as the antlers and a bright red nose, this plush hat makes a fun accessory for all your Christmas outfits. You can even include it in your Christmas party supplies and use it as a photo booth prop during your holiday celebrations! 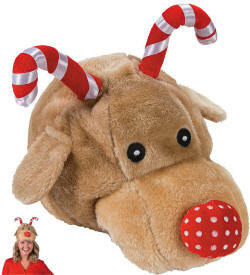 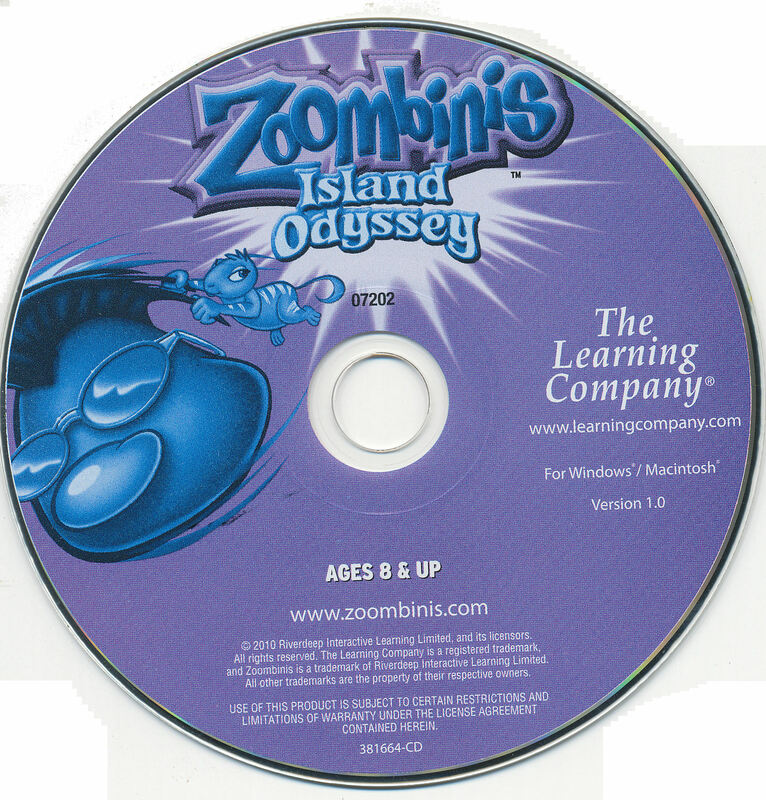 Stretches up to approximately 24 inches in circumference.